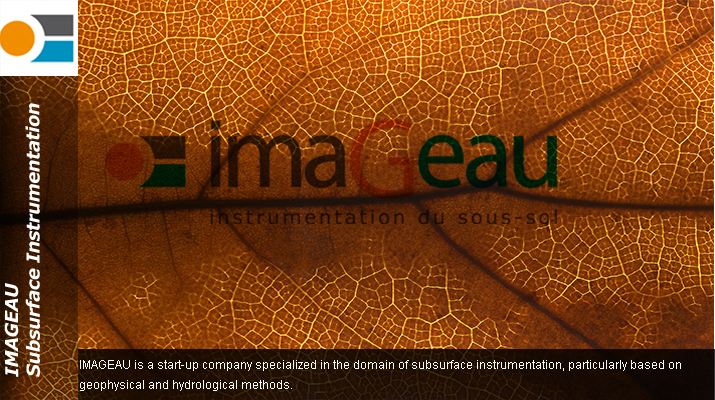 Field investigation and monitoring technologies, including monitoring (CNRS, UEDIN, UGOE, UU, IMAGEAU, and EWRE). Process understanding (UCAM, CSIC, EWRE, IIT, CNRS, UNOTT and UU). Modeling (CSIC, UNOTT, EWRE, UEDIN, CNRS and UU). Laboratory experiments (UCAM, CNRS, UGOE and UEDIN). Dissemination (VB, EWRE and the end–users). Public outreach and communication (VB). Most of the partners are also members of the MUSTANG project, which is funded by the FP7 and is running since June 2009. The PANACEA team includes a judicious balancing of all the disciplines that are required by the project stated objectives: Site characterization, Prediction (simulation, modeling), Measurement and monitoring, mitigation, environmental impacts and dissemination and public outreach. 1. EWRE – Environmental & Water Resources Engineering Ltd.
1. 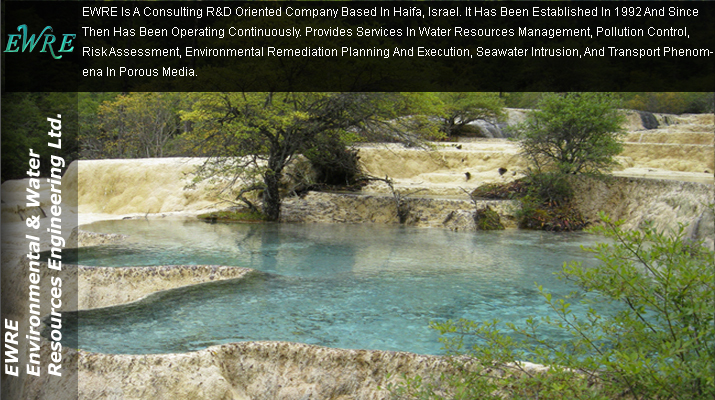 EWRE — Environmental & Water Resources Engineering Ltd.
EWRE is a consulting R&D oriented company based in Haifa, Israel. It has been established in 1992 and since then has been operating continuously. Provides services in Water Resources management, pollution control, risk assessment, environmental remediation planning and execution (including LNAPL and DNAPL pollution), seawater intrusion, and transport phenomena in porous media. Solution of flow and transport problems, density dependent flow and transport and implementation to large scale regional problems, energy storage in aquifers, risk assessment, design and implementation of Decision support systems, hydro–informatics, heat and mass transfer. Coupled processes, establishment of large environmental databases, software development, including modules for the development of Decision Support systems. EWRE is involved in many projects in Israel, working both ministries (Infrastructure, Environment Protection, Energy Science), public companies (NTA – the subway company of Tel–Aviv, the planning department of the Israel Electric Company, the Israel Railways Corporation, Oil storage and distribution companies) and private companies. In Europe EWRE operates through bilateral cooperatin with companies in Greece, EU funded projects (FP5 project Chrystechsalin and Fp6 project GABARDINE) and projects funded by the German ministry of Science, BMBF (Marsaba – Phase I and II, SMART – phase I). These projects address problems of Integrated Water Resources management. EWRE will in charge of constructing the regional model for the Beeri test site, including the elaboration of the conceptual model and the investigation of the relevant processes, in cooperation with GII and IIT. EWRE will also be in charge of coordinating the formulation of the guidelines and the establishment of the web–based Decision support system software. EWRE will also contribute to the dissemination effort, mainly in the design of the internet site. Yoav Harpaz: M.Sc. Reservoir Engineering, design and planning of natural resources. Former head of the Hydrologic group at Tahal consulting engineers (staff above 100 experts), involved in major projects in Israel (the canals, artificial recharge, monitoring, large–scale field investigations). Tamar Milgrom: Ph.D. design and planning of natural resources development. 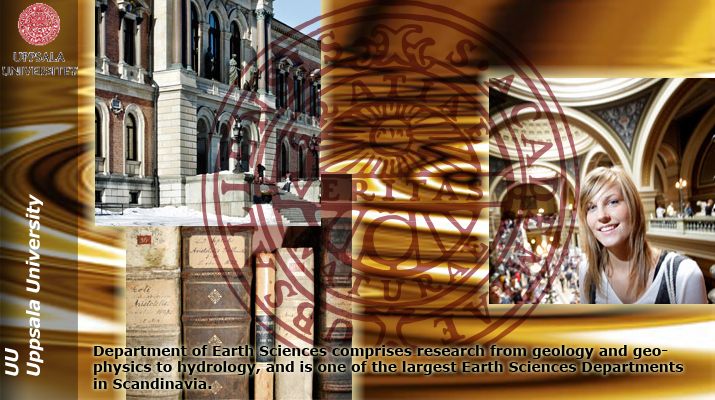 Department of Earth Sciences comprises research from geology and geophysics to hydrology (http://www.geo.uu.se), and is one of the largest Earth Sciences Departments in Scandinavia. Geological storage of CO2 is one of the overlapping research areas of the department, comprising activities from the different disciplines, e.g. receiving ‘excellence research´ funding from the National Research Council. The project will be placed within the Program of Air, Water and Landscape Science. This program has a staff of about 55 persons. The contact person was previously head of this program, but resigned in order to coordinate the ongoing large scale integrating EU FP7 project MUSTANG (www.co2mustang.eu) for CO2 geological storage in saline formations (2009–2013). She is presently heading the subsurface hydrology research of the program where this project will be placed to. The external funding to Earth Sciences Programs comes e.g. from National Research Councils (VR,FORMAS), EU (including participation to CO2SINK and coordination of MUSTANG), national sector foundations (Swedish Geological Survey, National Road Administration etc.) as well as from private sector such as Swedish Nuclear Waste Management Company (SKB). The facilities and equipment comprise a hydrological laboratory, chemistry laboratory, laboratory facilities to observe CO2 behavior (two–phase flow, dissolution etc) in heterogeneous in analogue systems, geophysical instrumentation, a computer network, and extensive modeling software. Most significantly, the group is in collaboration with EWRE (another partner in this proposal) in the process of installing major monitoring equipment into the deep injection/monitoring wells of the Heletz experiment, which equipment is owned by UU. Subsurface hydrology, groundwater modeling, site characterization, multiphase flow, coupled processes, heterogeneity and up–scaling, probabilistic modeling, coupled processes investigation of deep disposal of liquid waste, including CO2. Thermo–hydro–mechanical coupling of CO2 storage as well as natural analogue studies. 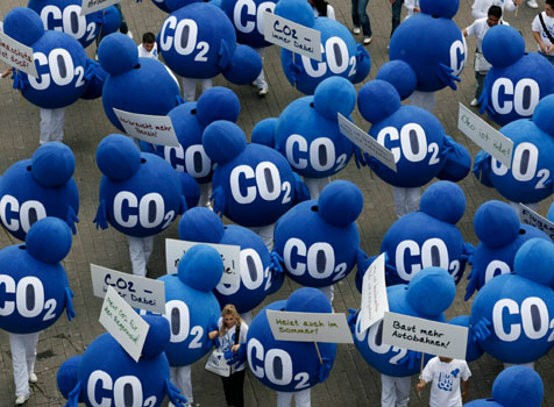 Deep involvement in CO2 storage work, e.g. coordination of MUSTANG (www.co2mustang.eu). Prof Auli Niemi is Professor in Groundwater Modeling and is heading the geohydrology research at UU, Dept Earth Sciences. Over 25 yrs of experience on various aspects of geohydrology, including multiphase modeling, upcaling, site characterization. Coordinator of MUSTANG (EU FP7 program for CO2 geological storage) including major role in designing the Heletz CO2 injection experiment, together with EWRE. Scientific visibility e.g. ; convening a major CO2 session in EGU, 2011. Main responsible of the UU work in this project. Prof Chin–Fu Tsang (Senior Staff Scientist emeritus, Lawrence Berkeley National Laboratory, presently visiting professor at Uppsala) Dr Tsang is one of the foremost experts in the world in the field of modeling of coupled processes and fractured media. Extensive experience in THMC processes, high–level experience on several aspects of CO2 storage including the far field impacts and pressure plume. Relevant visibility e.g. by co–chairing intnl workshop in CO2 storage (CO2SC 2006) held in Berkeley, USA. Will participate in supervisory role to pressure plume/far field impacts studies, hydromechanical (coupling) studies. Dr Fritjof Fagerlund is an Assistant Professor with experience in particular in multi–phase modeling, and his position is especially directed towards CO2 storage. Major experience in modeling the CO2 geological storage in particular as part of the design simulations of the Heletz injection experiment. Dr Prabhakar Sharma is an Assistant Professor with emphasis in experimental hydrology. He will give support to data analysis from Heletz. In addition, there are presently four PhD students actively working with CO2 geological storage research and will contribute with their participation and support to this project. We will hire a new PhD student or post doc to participate to this project. IIT is a 83 years old technological university active in all aspects of engineering and natural sciences. Leading the activities in WP5; research leading to identification of all relevant flow, reactive transport, thermodynamic and geo–mechanic processes, analyzing them and eventually incorporating them in a comprehensive flow and transport model that will be used for analyzing CO2 sequestration in geological formations. Jacob Bear Professor (Emeritus) of Hydrology, Hydrogeology in the Dept. 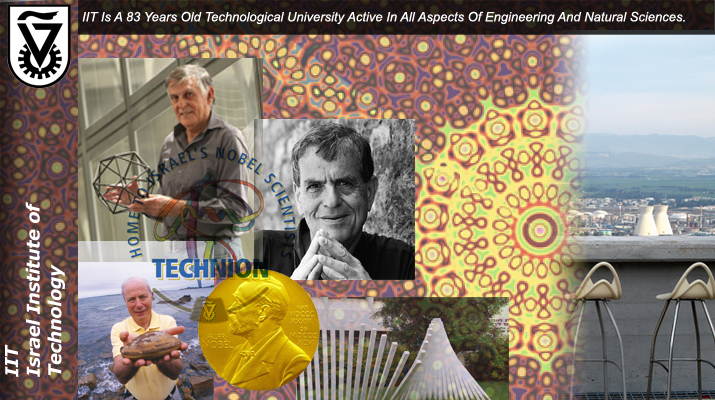 f Civil and Environmental Engineering, at the Technion – Israel Instit. Of technology, Israel. His research and publications activities are covering the areas of: hydrology of groundwater, modelling flow and contaminant transport in aquifers, management of water resources systems, especially aquifers, phenomena of transport in porous media, Focus on the development of numerical tools (double continuum model), the quantification of flow processes in the fractured–porous fractured unsaturated zone as well as the characterisation of the aquifer geometries and hydraulic parameters. Further expertise in the area of water resources assessment in arid and semi–arid areas, infiltration processes in unsaturated fractured systems and the characterisation of geothermal reservoirs with tracer experiments. 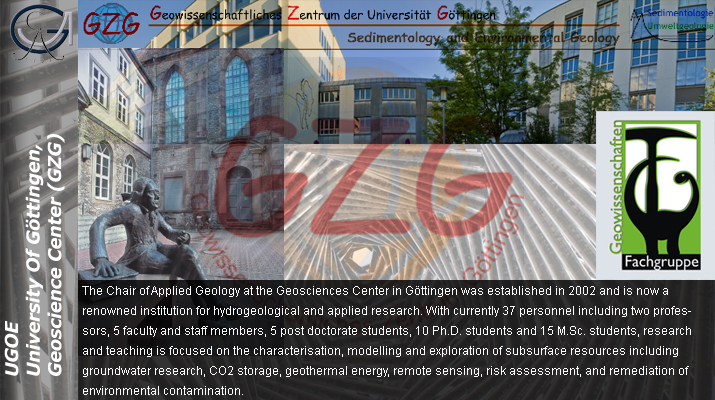 The Chair of Applied Geology at the Geosciences Center in Göttingen was established in 2002 and is now a renowned institution for hydrogeological and applied research. With currently 37 personnel including two professors, 5 faculty and staff members, 5 post doctorate students, 10 Ph.D. students and 15 M.Sc. students, research and teaching is focused on the characterisation, modelling and exploration of subsurface resources including groundwater research, CO2 storage, geothermal energy, remote sensing, risk assessment, and remediation of environmental contamination. 1) Characterization of fractured porous groundwater systems, 2) Subsurface investigations at field scale by tracer testing, hydraulic, and borehole geophysical methods (depths 4–5000 m), 3) Fluid dynamics, petrographic characterisation, and micro–thermometry, 4) 3–dimensional microcrack analysis and modelling of (paleo–) stress conditions, 5) Geochemical and isotopic characterization of (hydro–) geological systems, 6) Numerical modelling of flow and reactive transport. 1) Volume oriented characterisation of fluid–rock contact in the field by push–pull single borehole multi tracer experiments, 2) Determination of bulk temperatures in fractured–porous rock at borehole scale, 3) Simulation of hydraulic, solute, and heat transport processes at borehole scale, 4) Petrographic characterisation of fluid inclusions and reconstruction of the thermal history of the reservoir, 5) Determination of microcrack frequency and chronology (stress history, P–T conditions, paleo–fluid systems), and (paleo–) connectivities/permeabilities, 6) Geochemical and isotopic characterisation and modelling of subsurface environments, fluid sources, water–rock interaction, dissolution–precipitation reactions along flow paths. Resources at the GZG comprise facilities from three participating departments (Applied Geology, Structural Geology, Isotope Geology) including a hydrogeo–chemistry laboratory, a hydraulic and geotechnical laboratory, geophysical instrumentation, field equipment (data acquisition, pumping and tracer testing etc. ), microscopy laboratory with universal stage, sample preparation (thin slab, polishing laboratory, coating equipment etc. ), cathodoluminescence laboratory, REM laboratory, fluid inclusion laboratory (microthermometry, Raman analysis, petrographic analysis), geochemical and isotope analysis laboratories (clean labs, thermal ionization mass spectrometer, IRMS, IC, ICP–MS etc.). Furthermore, a computer network, modelling software, a GIS and other visualisation and image processing systems. Martin Sauter: Professor of Applied Geology at the GZG; focus on the development of numerical tools (double continuum model), quantification of flow processes in fractured–porous fractured media, characterisation of aquifer geometries and hydraulic parameters. Characterisation of geothermal and CO2 storage reservoirs. Alfons van den Kerkhof: Research scientist (GZG). Ph.D. (1988) Free University Amsterdam (Geology, petrology, geochemistry). Expertise: Fluid–rock interaction, fluid inclusions, spectral analysis (e.g. Raman analysis), cathodoluminescence. Graciela Sosa: Research scientist at the GZG. 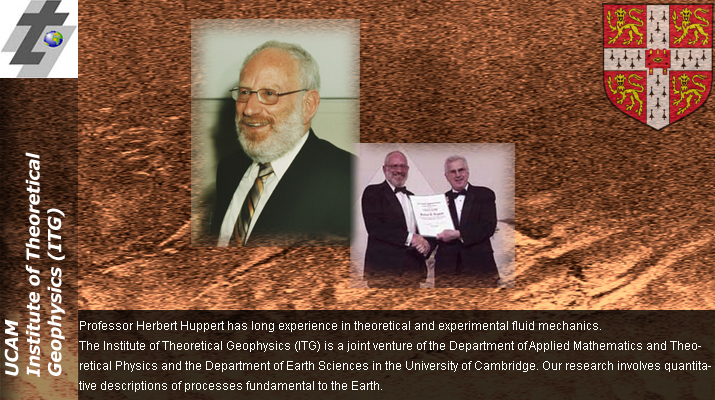 Ph.D. (1990) University of San Luis, Argentina (Geology, geochemistry, ore deposits). Expertise: Fluid inclusions, diagenetic processes. Bernd Leiss: Structural geologist (GZG); focus on quantitative micro fabric analysis related to deformation history and petrophysics, field experience in different structural crustal levels, member of the Geothermal Research Group at the GZG. Axel Vollbrecht: Structural geologist (GZG) (Dpt. of “Structural Geology and Geodynamics”), focus on field geology and micro–fabrics, extensive work on micro–crack in basement rocks, e.g. at the German Continental Deep Drilling Project, member of the Geothermal Research Group at the GZG. Bent T. Hansen: Professor of Isotope Geology. Geochronology and fluid–rock interactions. Crustal fluids from deep drilling sites and radioactive deposits as well as “Deep Biosphere” and groundwater isotope characterisation. Bettina Wiegand: PhD (1996) in geochronology and isotope geochemistry. Long–term experience (GZG, Stanford University) in the development and application of isotope tracers to hydrological and environmental problems; geochemical modelling. Code development: Single and Multiphase flow coupled to soil deformation under nonisothermal conditions, Reactive transport, parameter estimation. Modelling; nonisothermal single and multiphase flow, reactive transport processes for soil decontamination, multi–component gaseous transport in fractured media. Field Testing; Hydraulic and tracer testing in saturated and non saturated media and monitoring of hydraulic and reactive transport for low permeability fractured media. Laboratory testing; single and multiphase “flow–through” experiments, tests for reactive processes. Characterization; hydraulic parameters (retention and relative permeability), solid characterization (DFX, SEM, AFM,…), water samples extraction by squeezing and dilution. 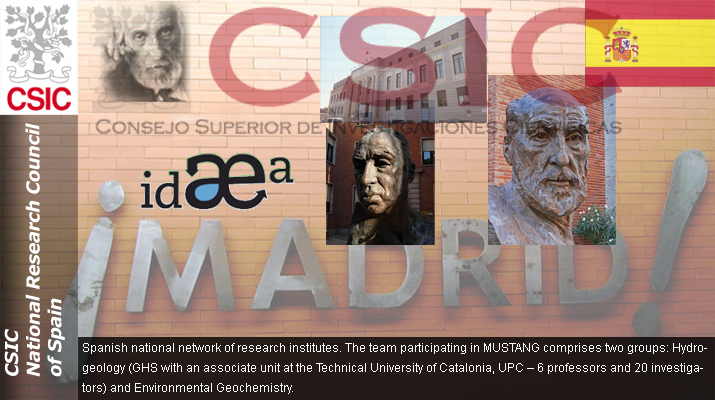 Currently working on several mayor Spanish (CIUDEN) and EU (MUSTANG) projects on CO2 geological storage. Laboratory for experiments on fluid–rock interactions, fluid and solid analyses, access to supercomputing facilities for numerical modeling. Jesus Carrera: Ph.D. Univ. Arizona (1984). Professor at UPC until 2006, vice–president for research of the university (1994–1998). Leads a research group in groundwater hydrology of about 30 people that has developed 6 codes to model flow, transport, conjunctive management of surface and groundwater, network design, multiphase non–isothermal flow and reactive transport. These been applied to a wide set of problems. Coauthored more than 300 publications, including more than 70 in international refereed journals. Jordi Cama: Ph.D. Geology, University of Barcelona, Spain (1998); Researcher at IDAEA, laboratory measurement of mineral dissolution kinetics, CO2–brine–rock interactions, passive treatment of contaminated waters, natural attenuation proceses. Marco Dentz, Doctor of Natural Sciences, Rupertus Carola University of Heidelberg, 2000; Stochastic processes, Transport theory, Up–scaling, Non–linear dynamics, Flow and transport in heterogeneous formations, Subsurface hydrology. hydrodynamics. The team is also strongly involved in three other projects at European scale, focusing on geothermal energy (HiTI) and CCS (CARBFIX & MUSTANG). 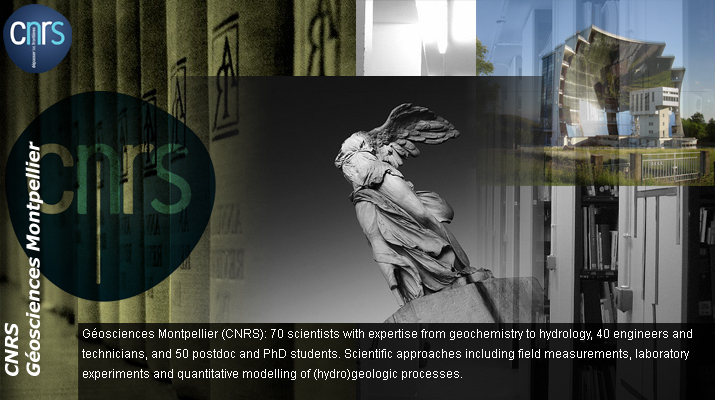 CNRS is also developing monitoring and downhole geophysical and hydro-geological tools. At laboratory scale, CNRS has developed percolation benches for specific application to underground CO2 storage (the ICARE LAB. Platform). Laboratory experiments for analysing thermo-hydro-chemical and mechanical processes during massive injection of CO2, and for modelling caprock and well-cement sealing properties. Development of in-situ geoelectrical monitoring tools to assess the long-term sealing effectiveness of a reservoir and cap-rock system.Co-coordination of WP4 & WP8. Philippe Gouze Ph.D in quantitative hydrology (1993) from the U. of Paris VI under the direction of G. de Marsily. Full time researcher CNRS from 1995. His research works focus on groundwater and reservoirs modelling with emphasis on reactive transport and experimental characterization of flow, transport and reactions from laboratory scale to field scale. He co-authored more than 70 publications, including more than 40 in international refereed journals and presently leads the « Transport in Porous Media » group (29 people including 9 researchers, 7 PhD, 6 postdoc, 6 Engineers) part of the Geosciences research unit, based at Montpellier University. Gérard Lods : Ph. D in Hydrogeology (1999), University of Montpellier, France and CNRS Engineer on computer methods since 2006. Habilitation, 2006, Universität Tübingen, Germany. Dr. rer. nat. 1999 Universität Tübingen, Germany. Advanced Studies Course Hydrogeology and Engineering Geology of Tropical and Subtropical Regions, Universität Tübingen, Germany. 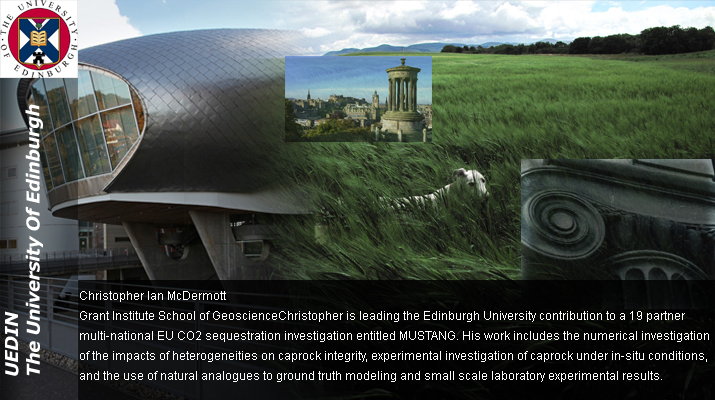 Christopher is leading the Edinburgh University contribution to a 19 partner multi-national EU CO2 sequestration investigation entitled MUSTANG. His work includes the numerical investigation of the impacts of heterogeneities on caprock integrity, experimental investigation of caprock under in-situ conditions, and the use of natural analogues to ground truth modeling and small scale laboratory experimental results. The key areas are Modeling, Experimental investigation, Analogue investigation. He has a number of papers in international journals and a few in revision demonstrating his expertise in all these areas. In addition he has worked in coupled process modeling at a number of scales. Application and development of state of the art THMC coupled process modeling tools. Expertise in experimental equipment, all aspects of experimental design and implementation of reactive flow experiments under in situ conditions of temperature and pressure, analysis of materials using X-ray micro-CT and the interpretation of 3D data sets extracted from CT analysis. Expert interpretation of noble gas data from St. Johns and Fizzy field in relation to the origin of the CO2, how the CO2 is stored and quantification of the volume of water the CO2 has interacted with in each field. Access to cores and data from a number of analogue sites including St. Johns and Miller field. Access to cap rocks and reservoir rocks and data from a range of North Sea Reservoir wells. Current experience of obtaining, coring and preparing fractured cap rock samples. Access to the full suite of Edinburgh University facilities for the analysis of rocks, minerals and fluids. Including state of the art X-ray CT, SEM, XRF, XRD, Ion Microprobe and chemical analysis. Dr. Katrionna Edlmann : Extensive laboratory experience replicating insitu reservoir conditions. Dr. Stuart Gilfillan: Noble gas and carbon isotopes for CO2 analogue site interpretation. Dr. Ian Butler: Experimental investigation, geochemical kinetics/mechanism and isotope geochemistry in sedimentary and hydrothermal environments. Responsible for the design and in-house construction of the x-ray microCT instrument. Dr. Mark Wilkinson: Diagenesis and geological carbon storage. Dr. Mike Edwards: Over 20 years of structural geology experience. Professor Stuart Haszeldine: 25 years experience working with subsurface information from basin-scale to field-scale in hydrocarbon extraction and in waste disposal. Since 2005 he has created the UK's largest University group examining CO2 storage geology, with a particular focus on natural analogues and seepage processes through overburden. PhD student, with experience in Applied Geoscience. Has worked in this area and written about half a dozen papers on aspects of flow, leakage, mixing and structural trapping. 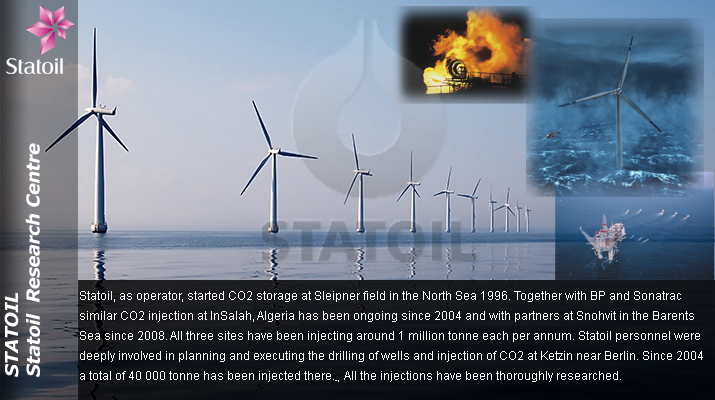 Statoil, as operator, started CO2 storage at Sleipner field in the North Sea 1996. Together with BP and Sonatrac similar CO2 injection at InSalah, Algeria has been ongoing since 2004 and with partners at Snohvit in the Barents Sea since 2008. All three sites have been injecting around 1 million tonne each per annum. Statoil personnel were deeply involved in planning and executing the drilling of wells and injection of CO2 at Ketzin near Berlin. Since 2004 a total of 40 000 tonne has been injected there. All the injections have been thoroughly researched. Research Centre Trondheim engages 400 researchers, main topic is oil& gas exploration and production; basically the same technologies as used in CO2 injection. Statoil originated, coordinated and participated in several European CCS r&d projects (SACS, CO2Store, CO2SINK, CASTOR, ENCAP, ULCOS, CO2ReMoVe, CO2NET, CO2NET EAST, COACH, ECCO, CEASAR, CESAR, Co2GeoNet, SiteChar, CO2CARE, ECO2…). Statoil role in PANACEA: Contact person will be connecting, e.g. will provide field data and evaluation of scientific results against experiences to relevant geo-scientists in own research and production units, depending on the issue. Tore A. Torp´s Background: Dr.ing. material science. Industrial practice in steel industry. Petroleum r&d since 1984. Knowledgeable in a wide technical area, especially in underground fluid production/injection. 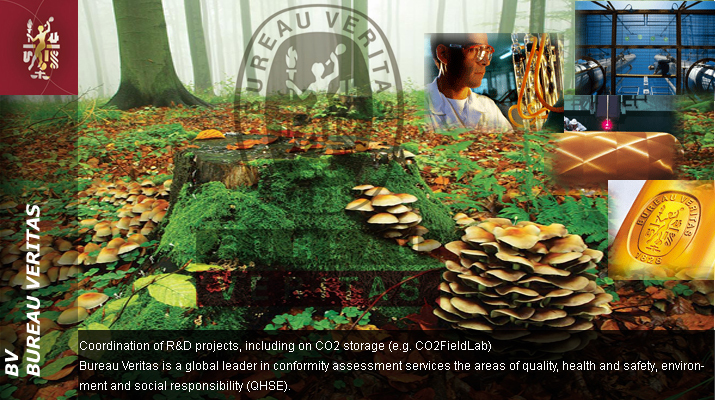 Experienced in management of international r&d cooperative projects since 1985. 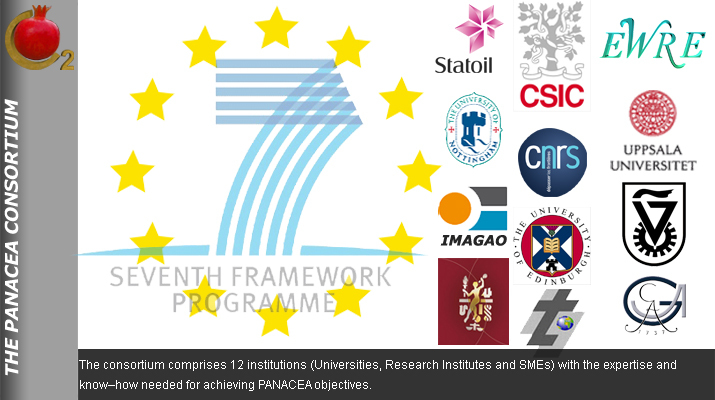 Organised and lead a number of European cooperation projects in the CCS field since 1994. Nottingham is a major research-intensive university and is committed to the pursuit of excellence in curiosity-driven research and strategically applied research at the highest international standards. 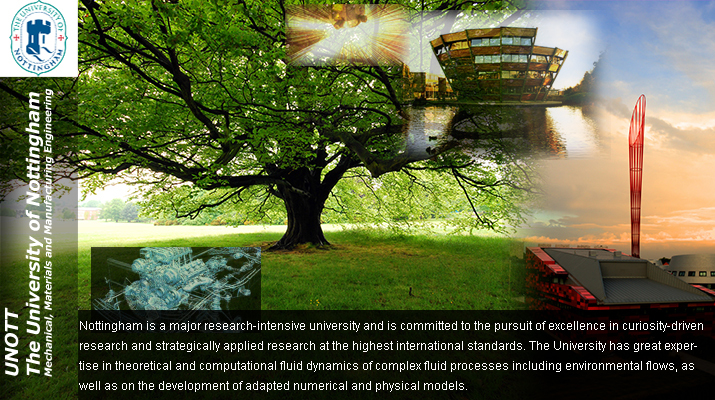 The University has great expertise in theoretical and computational fluid dynamics of complex fluid processes including environmental flows, as well as on the development of adapted numerical and physical models. Besides, they have extensive expertise on dealing with the analysis of uncertainties on the description of such physical processes. MUSTANG EU -, FP7-ENERGY-2008-1, A multiple space and time scale approach for the quantification of deep saline formations for CO2 storage, Crystechsalin EU-EVK1-CT-2000-00055, Crystallization technologies for prevention of salt water intrusion, GABARDINE EU- , Groundwater artificial recharge based on alternative sources of water: advanced integrated technologies and management, EP/E018084/1 Coupled Models: Expert Judgement, Emulators and Model Uncertainty (funded by EPSRC). EP/E018173/1 Simplicity, Complexity and Modelling -- SCAM (funded by EPSRC). CASE Studentship: Topics in Modelling Flow in Fractured Media. (funded by EPSRC and Serco Technical & Assurance Services). Workshop on Uncertainty Quantification, ICMS Edinburgh May 2010. (funded by ICMS, LMS, US National Science Foundation, and the US Air Force Office of Scientific Research). Probabilistic Uncertainty Quantification for Subsurface Flows Applied to Radioactive Waste Disposal and CO2 Sequestration (joint project with Oliver Ernst at TU Freiberg, funded by the British Council and DAAD). EP/H051589/1 Multilevel Monte Carlo Methods for Elliptic Problems with Applications to Radioactive Waste Disposal. (Starts April 2011 - funded by EPSRC). Study of dissolution and evaporation effects on the evolution of the plume interface between the two immiscible fluids. quantification of the heterogeneity-induced uncertainty of the predicted large scale flow and transport behaviour. Chair the Computational Fluid Dynamics research group at the School of Mechanical Engineering. His research interest relevant to the project includes: Fluid Flow, moving boundary and phase change problems, non-Newtonian Fluids, flow instability, integral equation numerical methods, numerical analysis, etc. Prof. Power is one of the main editor of the International Journal Engineering Analysis with Boundary Elements, and member of the Editorial Board of the Journals; International Journal of Computer Mathematics and Computer Modeling in Engineering & Sciences. Prof. Power is the author of three technical books, edited 31 state of the art technical books and author and coauthor of 292 publications in technical journals, international conferences, chapters of edited books. Earlier at Harwell Laboratory working on computational continuum mechanics mostly applied to the civil nuclear industry. Relevant work includes heat transfer, free surface flows, flows in porous and fractured media, stochastic groundwater flow and radionuclide transport. Development and application of finite element and finite volume methods. Expert in development of large scientific computer programs with significant contributions to a number of major computer programs widely used within industries. Leader for many years in the development of numerical methods for the computation of bifurcations. Strong interest in computations compared with experiments. Since 2005 Professor of Computational Applied Mathematics at the UNOTT. Has published over 55 papers in refereed journals and author of over 100 technical reports and conference papers.